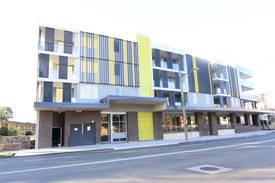 149 Commercial Real Estate and Properties in Sydney are listed in 8 categories. We have 978 Offices for Sale & Lease , 193 Retail Shops for Sale & Lease , 49 Industrial Warehouses for Sale & Lease , 32 Other Commercial Properties for Sale & Lease , 24 Development Lands for Sale & Lease and 11 Showrooms for Sale & Lease . Great exposure on Burwood Road near other health practices and close to transport this corner position is ideal for a medical center or a dental surgery (S.T.C.A). Federation home with original features, high ceilings, timber doors and trim, near new timber kitchen with gas cooking, two bathrooms, large consultation rooms, separate entry to most rooms, outdoor BBQ area, carport, timber floors, two living rooms, renovated bathroom and laundry. Originally built in the early 1900'S and designed by a doctor with the intention to be used as a practice so its a great opportunity to capitalise on today. For further information please contact Ray White Croydon on 0431 268 515 or John Shalala on 0405 535 611. Set in a prominent position within St Peters, this brand new retail /commercial space is offered to the market at a very good rate & therefore presents an excellent opportunity for many businesses. Property features include: 58 m2 87 m2 (optional 174 m2 adjoined Lot 2 & 3) Grease trap facility per lot Access to exhaust stack Air conditioned Engaging positions Surrounded by public amenities & high density residential developments To discuss the leasing opportunity & to arrange an inspection, contact Aaron Brooker on 0404 888 060 today. 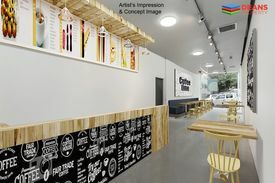 A great business opportunity exists to establish or relocate your business on the most popular Croydon Village Shopping Strip. 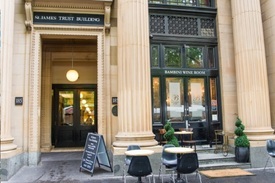 The atmosphere on the strip is unparalleled with its protected federation facades and is currently one of the most sought after locations in the Inner West. Expose your business and be among some popular business brands like Crust Pizza and Doy Tao Thai restaurants. Also surrounded by numerous specialty stores inclusive in this are cafes and restaurants with flavours from around the world. The shop offers approximately 40 meters squared and has recent modern renovations internally with kitchenette and wash basin included. The rear toilet is also recently update ready to be used and appreciated by your patrons. Its not very often that a shop on the Strand comes available so be quick for this one. Perfect for a bakery, beautician or even suitable for an office. Located near Ashfield and Burwood and also a minutes walk to Croydon Train station, Post Office and local schools like Presbyterian Ladies College which ranks in the top 10 of all the Sydney schools. There are two off street car spaces available from the rear lane access and also a separate upstairs residence/commercial office space (S.T.C.A) for lease for those interested in extra space. NB. Outgoings are to be negotiated. For more details or to arrange an inspection contact Ray White Rentals on 0431 268 515 or John Shalala on 0405 535 611. Alternatively contact our office and speak with one of our friendly office staff members on 9747 2222. Ground floor commercial suite with unlimited potential Unique positioning and advertising exposure to King Street Digital window signage plus external street signage included Perfect for advertising your business to endless traffic flows Corporate fitout with executive offices and open work spaces Large floor to ceiling glass windows and good natural light Kiosk reception area with frontage to the main building lobby Internal kitchen and bathroom facilities with integrated storage Access to a large rooftop terrace with panoramic Harbour views The Savoy is a prominent and popular mixed use development Well maintained building with quality services and low Outgoings Superbly located on the corner of King Street and Kent Street Close to Darling Harbour, Barangaroo, Wynyard and Town Hall Highly unique and opportunity for investors or SME occupiers LOT AND SIZE DETAILS Ground floor, Lot 80 50 sqm approx. Ground floor, Exclusive use 20 sqm approx. Total area 70 sqm approx. OUTGOINGS Strata levies $1,481 per quarter approx. Council rates $415 per quarter approx. Water rates $178 per quarter approx. CONTACT DETAILS Tim Noonan 0416 286 129 Adam Droubi 0420 807 090 Noonan Property 02 9231 6000 DISCLAIMER The above information has been furnished to us by a third party. Noonan & Co Pty Ltd trading as Noonan Property have not verified whether or not the information is accurate and have no belief one way or another in its accuracy. We do not accept any responsibility to any person for its accuracy and do no more than pass it on. All interested parties should make and rely upon their own enquiries in order to determine whether or not this information is in fact accurate. Figures may be subject to change without notice. A great opportunity to secure a modern contemporary office space in a recently completed mixture of residential and commercial apartments near the best of both Croydon Ashfield train stations and CBD's. Great location for most types of business including professional and retail so be sure to make an inspection arrangement to suit you. Currently offering approximately 100m2 of internal commercial office area and a large private balcony (approx. 40m2), separate office and security parking. Also located on Liverpool Road and Milton Street Nth with great exposure and free advertising for any business with thousands of passing cars daily. NB. Outgoings are by negotiation. For further inquiry please contact Ray White Rentals on 0431 268 515 or John Shalala on 0405 535 611. Alternatively contact our office on 9747 2222 and speak with one of our friendly staff members. Warehouse Style Creative Space! - Impressive Designer Suite $1,200 PW + GST + Electri..
Be impressed with this designer strata suite in a creative centre which offers a phenomenal atmosphere for a creative business wanting tranquillity. Well presented & maintained throughout, great after hours security & cafe in the block. Features include: 120 sqm plus parking option Unit 9, upstairs and downstairs 4G High Speed Internet now available Wonderfully presented heritage warehouse style space Tenant only pays phones and Internet if required Air conditioning High vaulted ceilings Shower on site Secure gated technology hub Access 24/7, after hours full security for the building Cafe in the complex Unmetered street parking For any more information or if you would like to inspect this property, feel free to give Deans Property a call today! 68sqm Ground floor office Easy access direct from the Foyer Renovated with partitioned into 2 rooms & internal kitchenette. High window with natural light & Air conditioned. Access to resort style facilities, including swimming pool, spa and gym. Ideal for General retail & Commercial Description Maestri Towers was completed in 2002 and consists of a mixed use development of retail on the ground floor, commercial on levels LG L4 and residential above. Location 515 Kent Street is located on the western end of Kent Street. The QVB and Town Hall are 2 blocks to the east of the building, Darling Harbour is just to the west of the building, George Street cinemas, Chinatown, pubs and clubs, Town Hall bus and train station are all located within this locality. Please ring Joshua on 0408 422 771 or Nick 0408 115 776 for inspection!! Boutique commercial or professional suite Penthouse positioning and high ceilings Large windows and good natural light Well presented with modern interiors Attractive reception and waiting room Internal kitchen with integrated storage Adaptable floor plan and efficient layout Popular and prominent commercial building Quality building services including two lifts Blue Ribbon location near Martin Place Close to Hyde Park and St James Station Exclusive and prestigious CBD address Surrounded by popular cafes and bars Multiple car parking options nearby LOT DETAILS AND SIZE Suite 1012, Lot 80 20 sqm approx. CONTACT DETAILS Tim Noonan 0416 286 129 Yann Le Berre 0449 286 129 Noonan Property 02 9231 6000 DISCLAIMER The above information has been furnished to us by a third party. Noonan & Co Pty Ltd trading as Noonan Property have not verified whether or not the information is accurate and have no belief one way or another in its accuracy. We do not accept any responsibility to any person for its accuracy and do no more than pass it on. All interested parties should make and rely upon their own enquiries in order to determine whether or not this information is in fact accurate. Figures may be subject to change without notice. 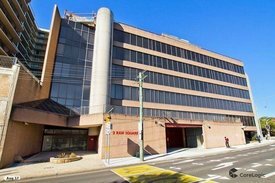 299 Sussex Street is a 9 storey office building situated between Bathurst and Liverpool Streets close to Town Hall, Chinatown and Darling Quarter. The building's orange fins, curvy concrete wrap wall, high ceilings & large windows create a great working environment. Basement parking is available separately. Whole floor plate of 300sqm Reception, Boardroom, Open Plan area, Server room Internal Kitchen, M/F toilets, Store room Terrace with incredible City views Well appointed main lobby and generous internal open plan areas Excellent ceiling heights, bright outlook, on site shower facilities Carspaces available For any further questions or if you wish to arrange an inspection please feel free to contact Alberto Da Grava 0416 919 423 and William Wu 吴劭东 0450 250 123. 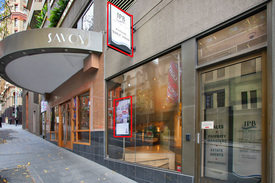 Superbly renovated professional suite East facing with excellent natural light Spectacular views of Sydney Harbour Stylishly renovated with modern interiors Impressive reception and waiting area Mixture of offices or consultation rooms Internal kitchen and several wet areas Self controlled ducted air conditioning Popular commercial building with two lifts Superb CBD location near Martin Place Minutes to Wynyard and Circular Quay Close to Hyde Park and St James Station Opposite Sydney Hospital and Parliament House Handy to Supreme Court and Queen's Square Multiple car parking options nearby Exclusive and prestigious address Size 53 sqm approx. Rental $1100 per sqm gross per annum plus GST ($58,300 per annum plus GST) Contact Details Tim Noonan 0416 286 129 Adam Droubi 0449 286 129 Noonan Property 02 9231 6000 Disclaimer The above information has been furnished to us by a third party. Noonan & Co Pty Ltd trading as Noonan Property have not verified whether or not the information is accurate and have no belief one way or another in its accuracy. We do not accept any responsibility to any person for its accuracy and do no more than pass it on. All interested parties should make and rely upon their own enquiries in order to determine whether or not this information is in fact accurate. Figures may be subject to change without notice. Commercial Or Medical Suite With Views DEPOSIT TAKEN! 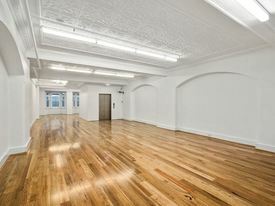 Gunning Real Estate is pleased to present this ground floor shop for lease in the iconic "Citymark" building. Right in the heart of Haymarket, the property is just a short walk away from Central train station, light rail stop and major bus interchange. The property features a open plan layout and extensive full glass frontage. KEY FEATURES: Floor area: 70sqm (approx.) 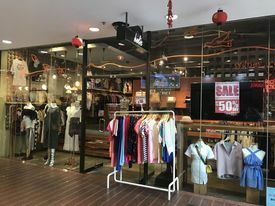 Wide frontage Air conditioned Great signage exposure Common toilets Double building entrance from George St and Thomas St Available now Please contact William Wu 吴劭东 (0450 250 123) and Alberto Da Grava (0416 919 423) for details or inspection. Inexpensive & Creative Office Space Close To Town Hall UNDER OFFER!